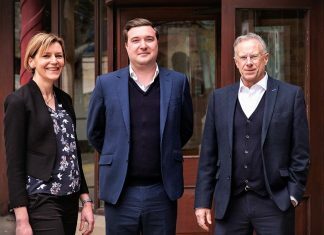 Three managerial appointments are among 16 new jobs created by Roberts Mart & Co Ltd as a result of its multi-million pound investment at the company’s Leeds-based production facility to meet the growing demand from all industry sectors for its high performance packaging films. Production Manager Mark Sarjantson, Assistant Technical Manager Jince Joy and Quality Manager Paul Melia all join the successful family-run firm, which also announced promotions for John Ambler, moving from Process Engineer Manager to Extrusion Production Manager and Tony Rymer, who takes on the role of Print Technical Manager after seven years as Shift Manager. 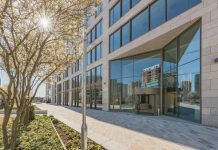 The addition of three highly experienced leaders to its managerial team at Aire Valley House will help drive the development across both the company’s sites in Leeds to meet the future strategic needs of one of the UK powerhouses of the flexible printing and packaging industry. Sustaining Roberts Mart’s success in providing high value and quality products to many of the top UK brands is part of Jince Joy’s brief. He has a wealth of experience in the flexible packaging field, including a stint in the Middle East, and has been tasked with incorporating new technologies and driving innovation at all levels. Completing the trio of new appointments is Paul Melia, who is responsible for maintaining the Quality Management System, including ISO9001 and BRC Standards. He will be focused on ensuring continuous improvement across all areas of the business. The business’s £2million investment in new equipment includes the BOBST 20SIX Flexo Eight Colour Printing Press – the latest in printing technology for the flexible packaging industry – a Nordmeccanica Super Simplex Laminator and Proslit Slitter Rewinder. This latest increase in capital expenditure takes Roberts Mart’s overall investment to just over £17.5m over the last 10 years. Roberts Mart was founded by William Roberts in 1852 and from paper merchanting, commercial printing and producing paper bags it has now developed into one of the UK’s leading specialist producers of high performance packaging films used in a variety of industry sectors including food, beverage and household textiles like duvets. Co-directors William and Ben are sixth generation of the Roberts family to run the firm, following in the footsteps of their father and chairman John, who has recently been given an Outstanding Contribution award by the British Printing Industries Federation after over 50 years’ service with the company. He handed over the day-to-day management in 2009 to his two sons but remains active in the business.